Correct posture places the ear, tip of the shoulder, hand, lateral thigh and knee and ankle bone in a line and in the same plan of motion. Computers and cell phones have led to the development of poor neck and shoulder posture in many people. Stretching with both arms out-stretched to the sides of a doorway and leaning forward is a great chest stretch. Rowing type exercises that focus on the scapulae stabilizing muscles will enable the scapulae to be in the proper frontal plane. Physical Therapists are well educated to treat a person with pain that develops from the “rounded shoulder” posture. Every day millions of people suffer pain and discomfort due to poor posture known as rounded shoulder. 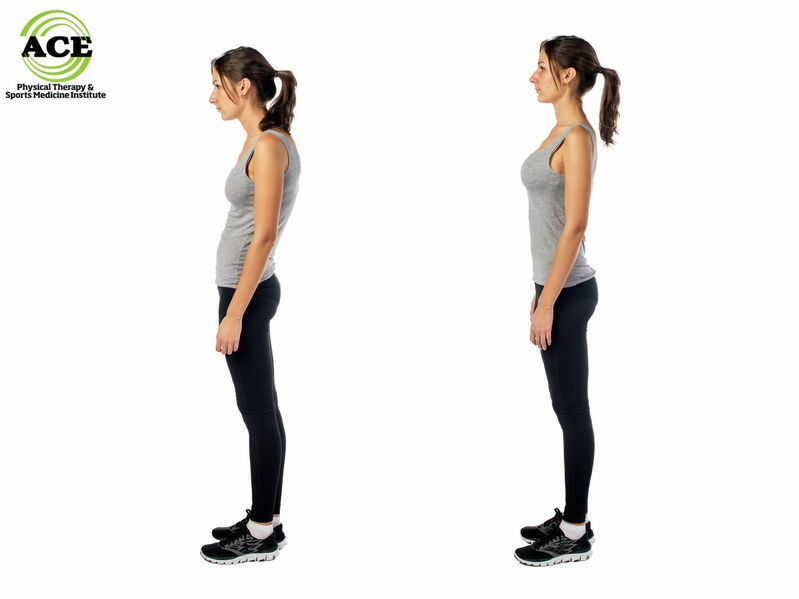 Many people have developed a habit of slouching over in a posture with the head position out of proper alignment with the spine. This often results from activities like sitting and working at a computer all day, playing video games for extended times and hunching over while using smartphones. If the shoulders remain in a rounded position for a prolonged period, the muscles and joint structures can be compromised and pain can develop. Rounded shoulder posture can cause neck pain, pain in the shoulders, poor breathing habits and more. Physical Therapists can help relieve pain by teaching patients proper posture and prescribing exercises that can strengthen muscles weakened due to rounded shoulder. The shoulder joint is comprised of three bones: scapulae, clavicle and humerus. The head of the humerus rests on the Glenoid fossa of the scapula where it articulates when the muscles of the shoulder contract to move the arm. The head is held “against” the glenoid surface via the four Rotator Cuff (RTC) muscles that act in unison and form a force couple when the arm is moved. The space above the humeral head is the Sub Acromial (SA) space. The Acromion of the scapulae forms a “ceiling” over the joint. The space “houses” the top muscles of the RTC and the Subacromial bursa. The SA space is small, averaging approximately 9 mm. This space is sufficient for complete movement of the shoulder. If one or more of the structures in this small space is damaged, the space will be impinged and shoulder movement will be affected. 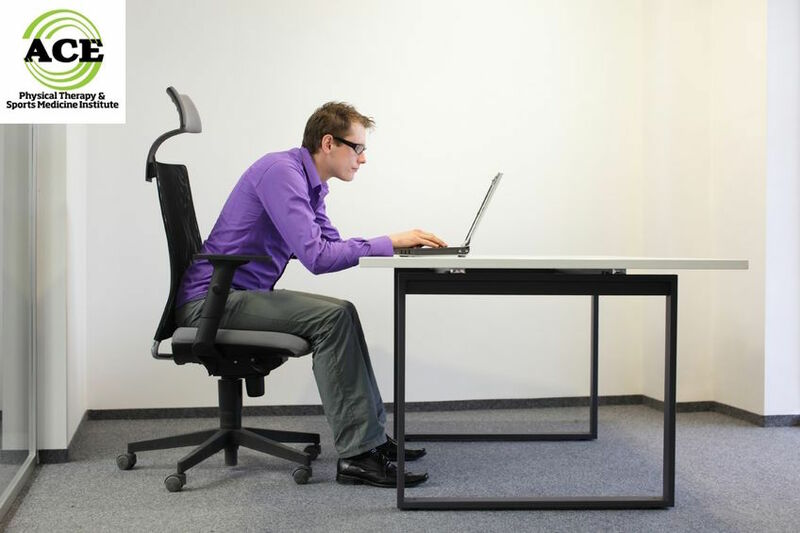 When someone sits with shoulders in a “hunched” posture, the SA space is reduced in size. The shoulder blades or scapulae move laterally around the rib cage, elevate and rotate forward. This positioning of the scapulae leads to a smaller SA space and the structures that reside in the space are impinged. The SA bursa and the top of the rotator cuff can be damaged due to the pressure that develops when the Acromion tips forward secondary to the abnormal positioning of the scapulae. Movement of the arm out to the side or upwards towards shoulder level makes the compression worse and can lead to more extensive damage to the soft tissues in the SA space. Physical Therapists have extensive training and experience in assessing postural problems and helping patients correct their rounded shoulder posture. They can teach patients proper movement and posture, offer tips for avoiding poor posture during daily activities, and develop a treatment plan that including exercises that will stretch and strengthen the muscles of the chest and back. The “hunched over” position tends to produce very tight chest and upper arm musculature. The muscles between the shoulder blades (scapulae stabilizing muscles) become weak because the abnormal position puts these muscles on a constant stretch and any muscle that is constantly stretched or shortened will become weak. Physical Therapists can be visited without a doctor’s prescription. The Direct Access laws in every state enable a Physical Therapist to evaluate a patient and develop a treatment program that will eliminate their symptoms. It is highly probable that a person that assumes a “hunched or rounded” shoulder posture will develop pain in their neck and shoulders. The goals of Physical therapy are to eliminate their symptoms and correct their scapulae posture. This will restore normal movement and function of the injury site. Rounded shoulder or hunched over posture can lead to a variety of orthopaedic problems. The most common problem is the development of neck and shoulder pain. A sound and thorough treatment program designed by a Physical Therapist can help to resolve the symptoms and correct the problems.